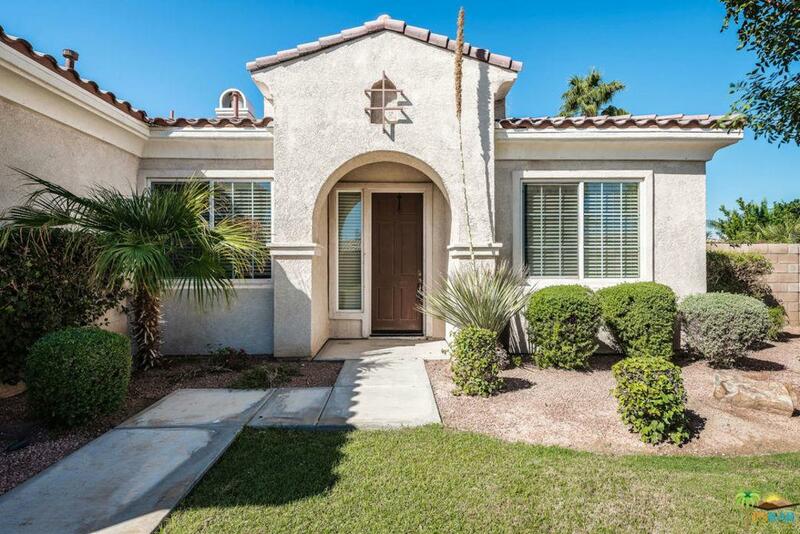 Great Location for year-round living just blocks from La Quinta's finest golf course communities! Located in the gated community of Estacio of Indio, this spacious 3 bedroom, 2.5 bath home offers almost 2000 sf of well planned living space. 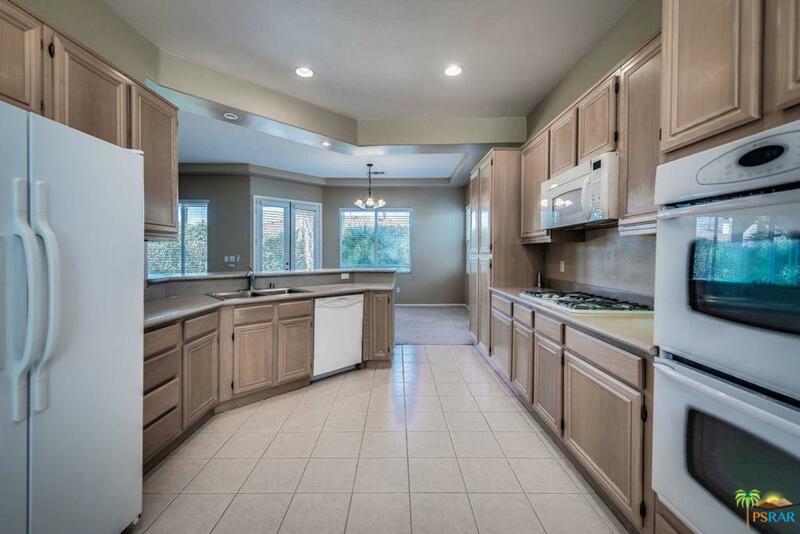 An inviting kitchen with breakfast bar and eat-in area, the house chef will appreciate having full appliances from the start with double ovens, gas stovetop, refrigerator, dishwasher and microwave. 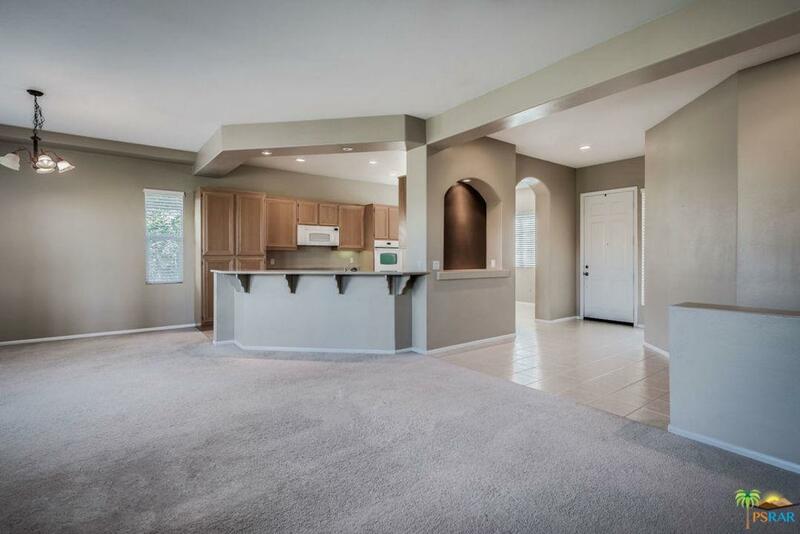 The great room floor plan has great flow from the kitchen with high ceilings, ceiling fans, and fireplace. The spacious Master suite offers a walk-in closet, dual vanities and separate tub and shower. One guest bedroom suite, additional guest bedroom, hallway powder room, and a separate laundry room off the entrance from the 3-car garage round out the interior spaces. 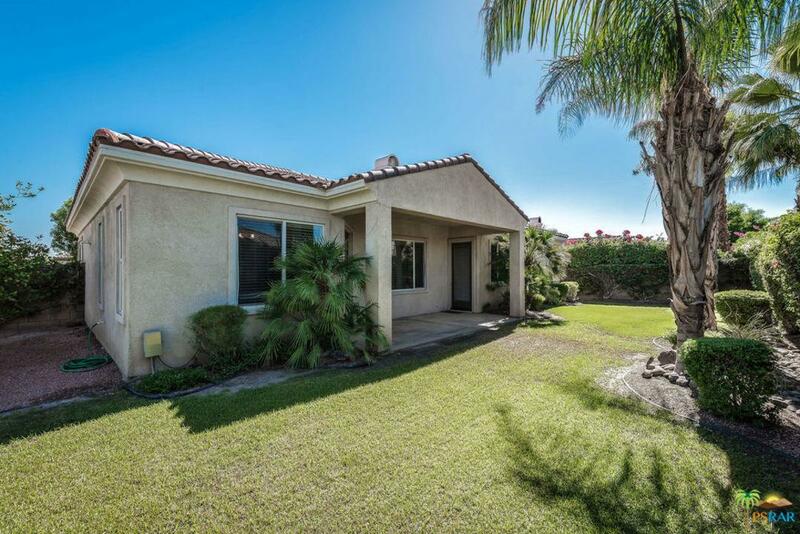 Enjoy the sunrise from your covered back patio and well maintained, landscaped backyard. Bank Owned. BUYER PAYS $300 FEE AT CLOSING. Listing provided courtesy of Carol Ann Trentacosta DRE#01726865 of Bennion Deville Homes.